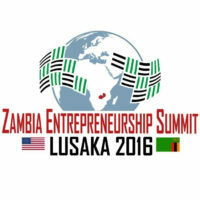 You are invited to the 2016 Zambia Entrepreneurship Summit! The Embassy of the United States of America to the Republic of Zambia and the Women’s Entrepreneurial Center of Resources, Education, Access, and Training for Economic Empowerment (WECREATE Zambia) Center have partnered to bring you the 2016 Zambia Entrepreneurship Summit. The Summit will host 100 of Zambia’s investors, lenders, and entrepreneurship empowerment organizations as exhibitors. Our exhibitors are eager to meet Zambian entrepreneurs with good business ideas to network and discuss financing and resources. We encourage all Zambian entrepreneurs to come to the public portion of the Summit to meet our exhibitors. Free of charge! Doors will open to the public promptly at 14:00 and will close promptly at 17:00. Our Summit exhibitors are prepared to discuss partnerships, network and hear business pitches and ideas from Zambian entrepreneurs. Exhibitors include Zambian investors and lenders who are in the business of financing good ideas. We recommend that all visitors to the Summit come prepared to meet with investors, lenders, and other organizations to discuss business plans. We anticipate a large turnout at the event. That means our exhibitors will have limited time with all visitors to hear business ideas. We encourage all visiting entrepreneurs to prepare a short verbal overview of your idea (known as a “business pitch”) to attract the attention of our exhibitors. Exhibitors may also appreciate a short fact sheet about your business plan. Be prompt! The Summit is open to the public promptly from 14:00-17:00 on November 21, 2016. If you would like to exhibit at the event, please contact Wilcliff Sakala at the U.S. Embassy at IRCLusaka@state.gov or Christopher Chilongo at WECREATE Zambia at cchilongo@yahoo.com. Please continue checking this website for updates and a list of confirmed exhibitors! And don’t forget to follow-us on Facebook and Twitter for a list of our exhibitors and more! Zambia National Commercial Bank, Plc. About 20 youth leaders participated in a six-month Social Entrepreneurship Bootcamp implemented by the Public Affairs Section in partnership with BongoHive Innovation and Technology Hub. Participants are involved in a variety of business projects in areas such as agriculture, women’s empowerment, water and sanitation, energy, and environmental conservation. Five American experts over six months traveled to Zambia to conduct workshops on social entrepreneurship topics such as community ideation, fundraising, business modelling, and impact assessment. As a follow-on to the successful 2015 Zambia Entrepreneurship Summit, Public Affairs Section Lusaka will hold a bootcamp for entrepreneurs to prepare for increased financing. The bootcamp will be organized in collaboration with the State Department-funded entrepreneurship program WE CREATE Zambia Center and local technology hub BongoHive (partner of our 2015 Social Entrepreneurship Bootcamp). Starting in May, the entrepreneurship bootcamp will bring a group of 30 participants together each month for a full-day bootcamp with a visiting American expert/speaker. Our new series will bring together some of Zambia’s most savvy entrepreneurs such as those who participated in the YALI Fellowships and other exchange programs. The goal of the program is to help Zambia’s entrepreneurs access financing for startups and growth, attract business partners, and sustainably grow their businesses.